Here’s our first blog post. Throughout the year we’ll be bringing you news on fun products and happenings from around the world as well as info on the exciting creations from DudaWerx. 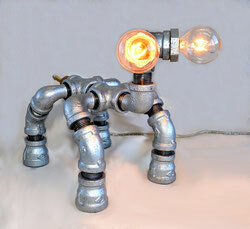 This blog is an industrial lamps and furnishing website for sharing fun articles. That info we have to chose for sharing different stories and essay reviews. Then we will enjoy the following resources and fun articles.